Summer seems to have found me switching things up a bit and grabbing for some tubes of earth tone paints. We have had some pretty hot temps here in the San Francisco Bay area. In fact, hot temps for many of us in the western US. Aside from sticking to more of an analogous color palette, I’ve kept the design pretty simple and minimal too. For me this painting is reminiscent of Florida in the 70’s. A time before all the hotels were built, and you could actually see the beach from the road! Back then, you could just pull off the road, onto the shoulder and walk to the beach! You would have to make your way through palm fronds and grasses, walking in and out and over and some sand dunes before finally throwing down a blanket and slathering on the Coppertone sunscreen. Here’s to some good summer fun! Soft Summer Days 24 x 24 Acrylic on stretched canvas $340 by Deb Breton. 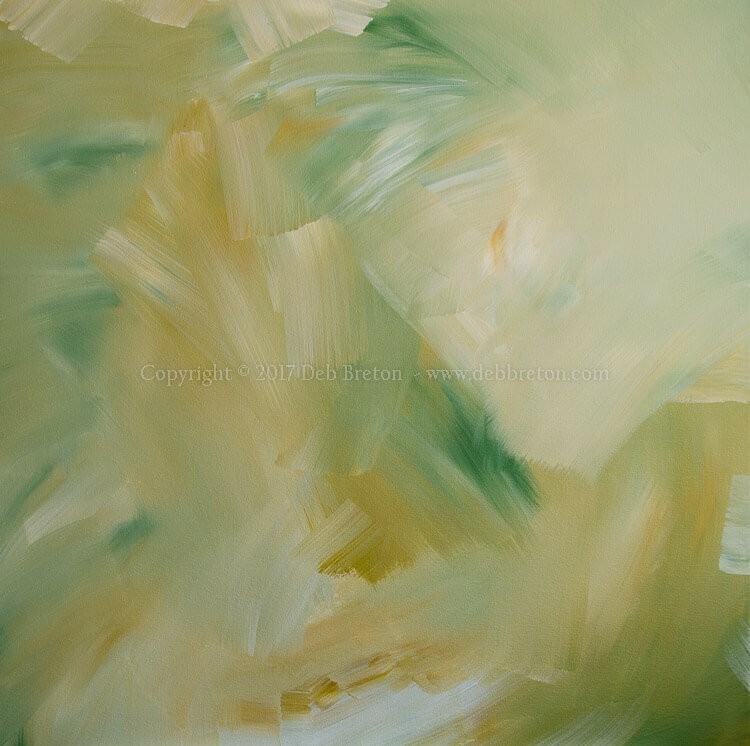 Minimalist and gestural abstract painted in earth tone colors of green, sand, yellow oxide and white. Muted, elegant and flowing. Summer time can be magical, keep cool and enjoy! For some reason, the ‘like this’ function doesn’t seems to load for me (tried both on the desktop and phone), but I like it! Hi Karen, I appreciate your feedback AND for telling me about the like button. It seems to be a recurring problem… thanks again though!